Scroll down for the biggest communications news to know this Tuesday morning, including the latest on the special House election in Western Pennsylvania and a stunning acknowledgement from the editor of National Geographic. A spokesman for Immigration and Customs Enforcement has handed in his notice, accusing Attorney General Jeff Sessions and other government officials of peddling false information and expecting him to do the same. James Schwab specifically took issue with Sessions’ claim that 800 undocumented immigrants escaped authorities because of a late February warning from Oakland’s mayor (CNN). This week’s Republican talking point… The House Intelligence Committee ended its investigation into Russian meddling in the 2016 presidential election, concluding the country did interfere but did not favor President Donald Trump. Democrats said their objections were not included (New York Times). The president quickly endorsed the committee’s decision in all caps (Twitter). Yet the news cycle quickly moves on. 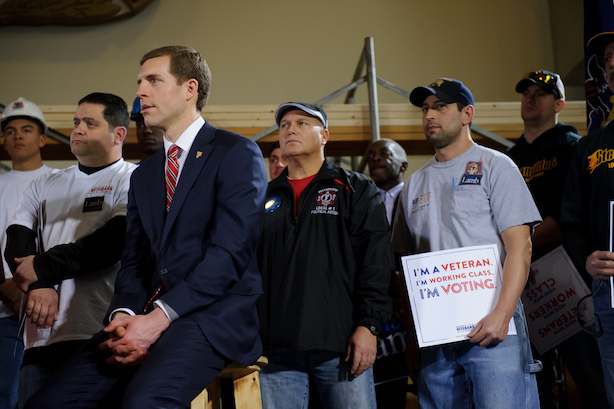 Today is the special election for a Western Pennsylvania House district, and the latest polling has Democrat Conor Lamb primed for a major upset over Republican Rick Saccone in the GOP-leaning district (Politico). Check out this impressive acknowledgement from National Geographic’s editor. For its April "race issue," the magazine put its own decades of coverage under the microscope and found it to be largely racist (NPR). Editor Susan Goldberg said in the magazine’s April editor’s letter that it also failed to explore the lives of black Americans with any depth (National Geographic). Finally, here’s a free media relations tip: Do not, under any circumstances, let your clients do an interview with a large chocolate bunny (HuffPost). And if they ignore your advice, at least have a sense of humor about it (The Hill).